Are you searching far and wide for those perfect laminate, solid surface, quartz or granite countertops in Maryland, Baltimore, DC or Northern Virginia? Did you know we also serve the Philadelphia and York metro areas? 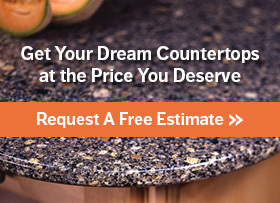 Call 888-675-9513 today or click here to take the first step towards new countertops. Express Countertops Fabricates and Installs Our Own Countertops, Saving You Time and Money! Add in shop-at-home convenience and you have the ultimate in countertop value. Serving customers throughout the Baltimore, Maryland, Washington DC & Northern Virginia region. We carry everything from granite and marble countertops to quartz, soapstone, concrete and laminate countertops! For additional information or questions contact Express Countertops. Call or use the button below to request your free estimate and have your new countertops installed in 1 week – guaranteed! You can even upload photos of your current countertops for a FASTER estimate.